An excellent choice for beer lovers, but not for heavy drinkers. 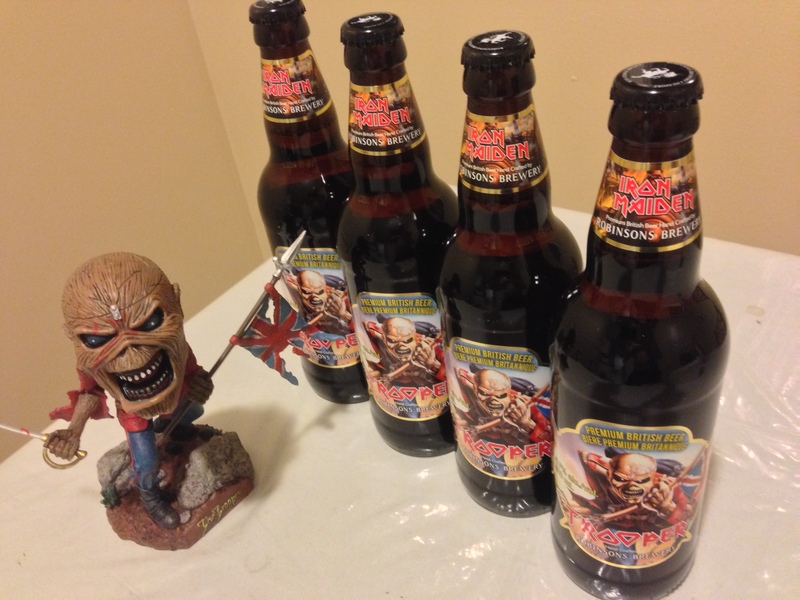 I’ve been looking for the Trooper Beer here in Canada for weeks, since the band started advertising it everywhere, including that funny moment at Rock In Rio V where Bruce complained about the festival beer (Heineken) and said he had to take his own to Brazil. Well, yesterday I was finally able to taste it for the first time, and here is my review about it. First of all, if you’re one of those headbangers that enjoy getting pissed drunk with the cheapest beer available, forget about Trooper. This is not a beer such as Coors Light, Moosehead or Rolling Rock: Trooper is an ale beer, bitterer and darker than any regular one, and it’s not recommended at all for a baseball game at the stadium or for getting drunk at the door of a venue before a Metal concert. Instead, I would say Trooper is an excellent choice for dinner, especially if you’re having a juicy steak or a veal parmigiana, and also a very good option if you’re not a heavy drinker, but likes to have a beer or two at a pub with your friends while eating some chicken wings. Or maybe you just want to stay home and watch Maiden’s Rock In Rio III, Flight 666 or En Vivo! while enjoying a couple of Troopers! That’s an awesome option for a Friday night! Regarding the price, at least here in Ontario it is very reasonable if compared to the other options in the market: only $4.60 per 500mL bottle. It’s not as cheap as a 750mL can of Coors Light, of course, but as I said the idea here is not drinking too much, but enjoying the beer. The Charge of the Light Brigade, which inspired the Iron Maiden song The Trooper, took place at the Battle of Balaclava (1854) during the Crimean War when 600 British cavalry courageously charged the massed Russian artillery. This gallant but foolhardy assault resulted in a massive loss of life and came about due to a misunderstanding of an order given by the Commanding Officer, Lord Raglan. If you search for the Trooper Beer on the LCBO website, you’ll find its profile page. However, not every LCBO store has it yet, so first of all you’ll need to do a quick research on their inventory position and then go buy it wherever it’s available. I unintentionally found it yesterday at the King & Spadina store (415 King Street West) while walking around Toronto, which means if you live near that area you can go there and grab yourself some Troopers today. 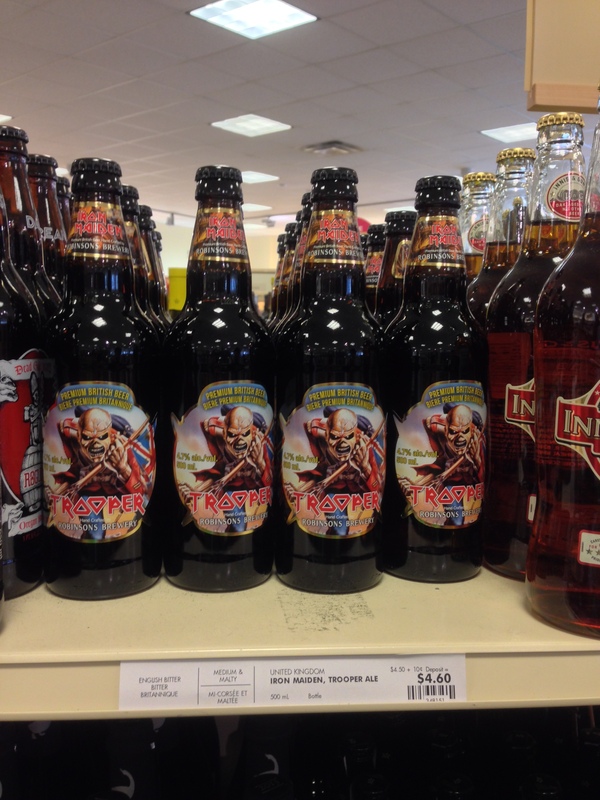 In short, Iron Maiden together with Robinsons brewery created a very good quality product not only for metalheads, but for anybody that enjoys a pint or two of a traditional British beer. It’s not the best beer in the world, but it’s the coolest one for sure. 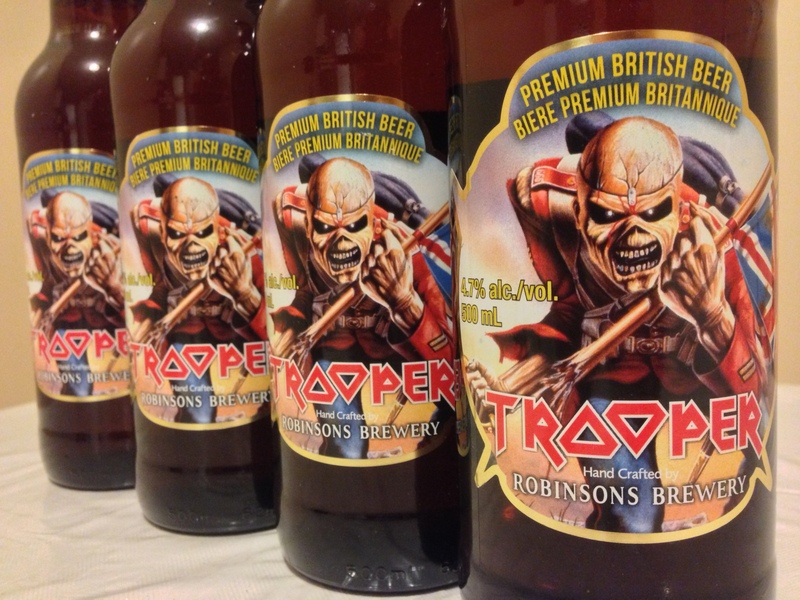 A beer dedicated to one the the top Heavy Metal classics of all time couldn’t be bad at all, don’t you agree? Or as Bruce would say, don’t waste your time searching for those wasted beers… Go get some Troopers instead! 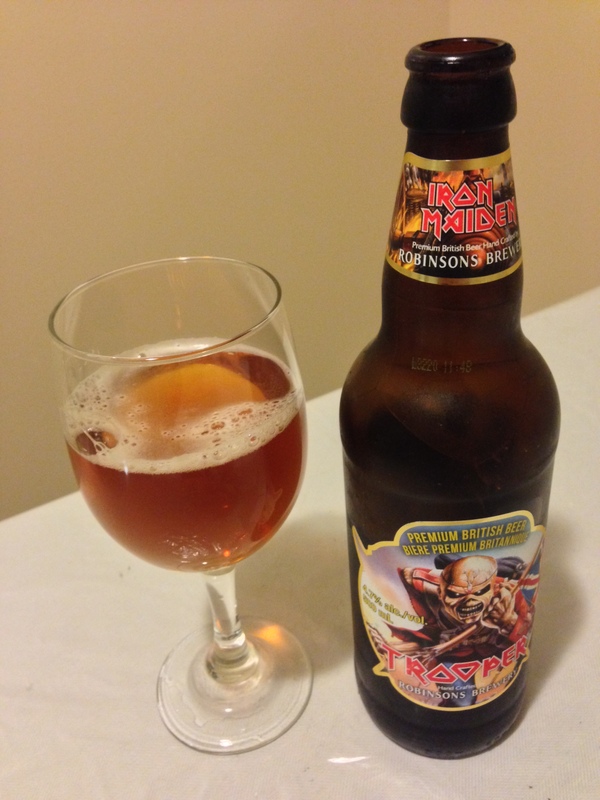 This entry was posted in Other Reviews and tagged beer, bitter ale, bruce dickinson, iron maiden, lcbo, premium british, robinsons brewery, toronto, trooper by Gustavo Scuderi. Bookmark the permalink.